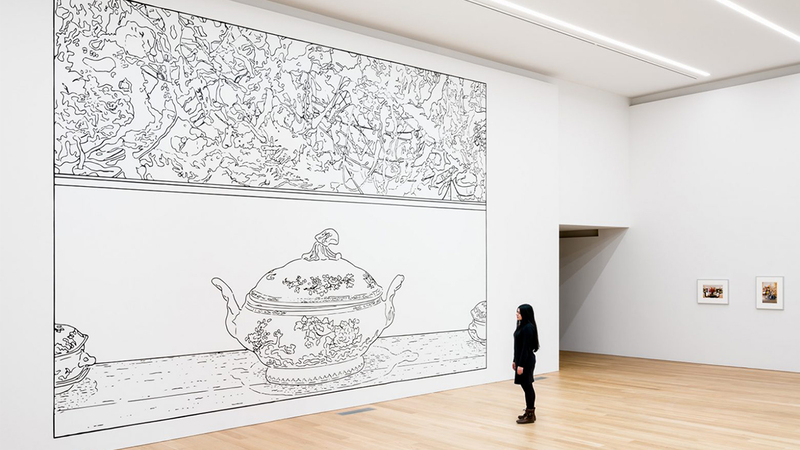 Please join us for an exhibition tour of Spring 2019: Collected Works at Rennie Museum. Spring 2019: Collected Works, a group exhibition encompassing the mediums of photography, painting and film. A portraiture of the collecting spirit, the works exhibited invite exploration of what collected objects, and both the considered and unintentional ways they are displayed, inform us. Featuring the works of four artists—Andrew Grassie, William E. Jones, Louise Lawler and Catherine Opie. Andrew Grassie (Scotland, b. 1966) is a painter known for his small scale, hyper-realist works. He has been the subject of solo exhibitions at the Tate Britain; Talbot Rice Gallery, Edinburgh; institut supérieur des arts de Toulouse; and rennie museum, Vancouver, Canada. He lives and works in London, England. William E. Jones (USA, b. 1962) is an artist, experimental film-essayist and writer. Jones’s work has been the subject of retrospectives at Tate Modern, London; Anthology Film Archives, New York; Austrian Film Museum, Vienna; and, Oberhausen Short Film Festival. He is a recipient of the John Simon Guggenheim Memorial Fellowship and the Creative Capital/Andy Warhol Foundation Arts Writers Grant. He lives and works in Los Angeles, USA. Louise Lawler (USA, b. 1947) is a photographer and one of the foremost members of the Pictures Generation. Lawler was the subject of a major retrospective at the Museum of Modern Art, New York in 2017. She has held exhibitions at the Whitney Museum of American Art, New York; Stedelijk Museum, Amsterdam; National Museum of Art, Oslo; and Musée d’Art Moderne de La Ville de Paris. She lives and works in New York. Catherine Opie (USA, b. 1961) is a photographer and educator. Her work has been exhibited at Wexner Center for the Arts, Ohio; Henie Onstad Art Center, Oslo; Los the Angeles County Museum of Art; Portland Art Museum; and the Guggenheim Museum, New York. She is the recipient of United States Artist Fellowship, Julius Shulman’s Excellence in Photography Award, and the Smithsonian’s Archive of American Art Medal. She lives and works in Los Angeles.